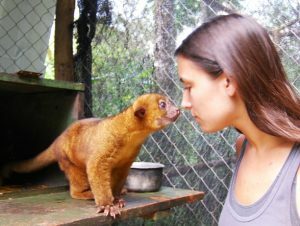 Volunteer at Asis Wildlife Rescue Center and work with rescued animals, from monkeys to peccarys, kinkajous, macaws and more! Also, have a chance to explore the town of La Fortuna, walk on lava beds in Arenal Volcano National Park, visit an organic farm, and more! 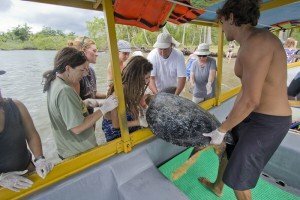 Spend several nights at a remote sea turtle project patrolling the beach in search of nesting leatherbacks and hatchlings, explore local canals for wildlife, visit a butterfly farm and local school. At the end of the week, relax on a white sand beach before heading back towards the central valley and home. 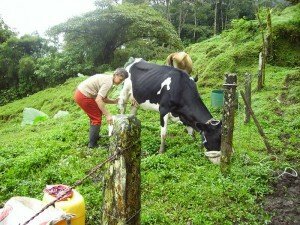 Visit the town of Providencia, surrounded by cloud forest and wildlife, and participate in community activities such as sugar cane processing , pulping fruit and artisan workshops. Next, travel to the Sarapiqui region and have a chance to raft, float or tube down the Sarapiqui River. Work side by side with local researchers on an in-water monitoring project on the Osa Peninsula. 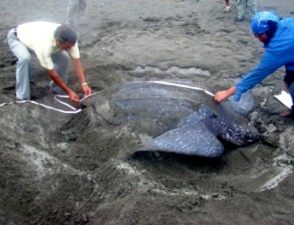 Your volunteer work will also include reforestation and mangrove clean up. From the Pacific Coast, head to the cloud forest and participate in a Borucan mask making workshop along the way. Hike in the cloud forest and have a chance to spot the resplendent quetzal.